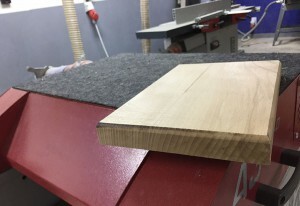 In this Safety and Basic Use (SBU) class, learn proper techniques and how to safely operate the jointer, planer, hand-held and table-mounted router. Use these woodworking tools to turn rough lumber into finished boards (achieve precise thickness, square edges and flat surfaces) as well as create complex profiles for edge finishing and joinery operations. Say goodbye to the constraints of lumberyard wood and the high price of mail order wood. Say hello to affordable custom woodworking projects! Prerequisites: Successful completion of WOD101 Basic Woodshop SBU prior to taking this class.